SIPCOT Jobs Recruitment Notification 2018.State Industries Promotion Corporation of Tamil Nadu Limited inviting applications for the positions of assistant engineer vacancies in civil and electrical departments.Interested and Eligible candidates can apply for the positions. 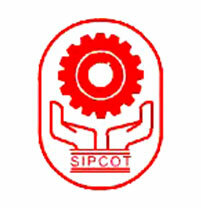 Number of vacant posts to be filled in SIPCOT is 12. Applicants must possess BE/ B.Tech degree in civil/ EEE from a recognized university. Minimum age for applicants is 21 years, maximum age for applicants is 30 years. Age relaxation for SC/ST is 35 years, BC is 32 years. Through written examination candidates will be selected as assistant engineer. Mode of applying for SIPCOT recruitment is through online from 23rd August 2018 to 06th September 2018.
https://meta-secure.com/sipcot-live/RFA.aspx is the link for applicants to register and https://meta-secure.com/sipcot-live/ApplicantLogin.aspx is the link to login directly.